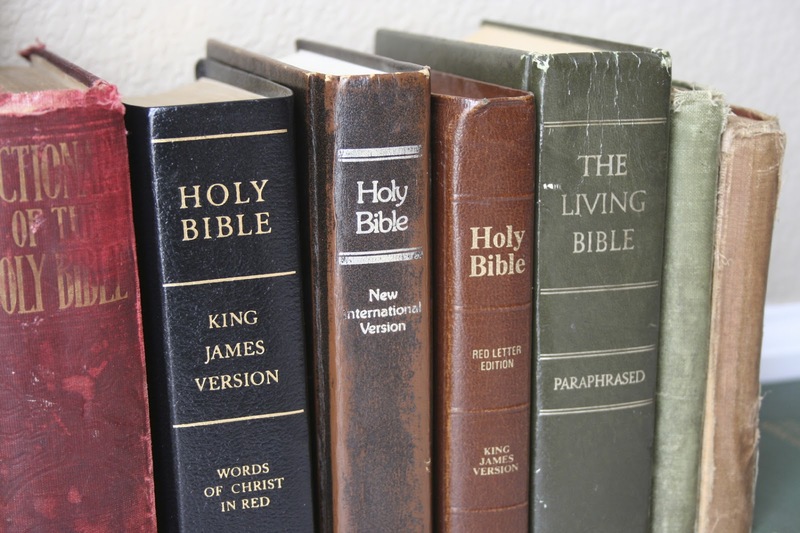 Practical Bible Teaching: IS ONE TRANSLATION BETTER THAN ANOTHER? IS ONE TRANSLATION BETTER THAN ANOTHER? As noted in the last article, that is the position of those who stand in the “KJV Only” camp. Of course, it is also implied by each new translation that comes out. Why make a new one if the old one is completely satisfactory? That probably goes more to marketing than to reality, though. The idea of ‘better’ is actually a loaded term. “Better” as compared to what? Most argue that a particular translation is ‘better’ as to its faithfulness to the then-current manuscript evidence. After that, the case must be made for its use of the modern vernacular as being also faithful to the meaning of scripture. Making a new translation is no small task, and I feel we are indebted to the scholars who dedicate their life and time to the study of the manuscripts and the original languages and then work together to bring us a translation that is readable for our modern times. However, I am not sure that we are being served by the plethora of versions available today. Next to the King James Version (KJV), the New International Version (NIV) has enjoyed the most popularity. The New American Standard Bible (NASB) ranks next, and has been the go-to translation for many for a few decades now. Recently, the English Standard Version (ESV) has made inroads into many churches and pulpits as a quite readable translation. Personally, the ESV is my favorite after the KJV. It has a beauty of style all its own. These are the most popular translations that use either a formal equivalency or a dynamic (functional) equivalency as their benchmark. Whenever I am asked which is the best translation (which is often), I usually ask a few questions as I try to determine what the person is looking for. Are you wanting a bible for devotional reading? Are you interested in digging deep into the Bible with serious study? These help me to determine my best recommendation based on the little knowledge I have of the various translations. Readability, of course, is a major factor when considering a bible for personal use, regardless of the ultimate purpose of the reader. I’ve extracted a table of readability for the various translations for your consideration. You can read the article and see the full table here. Because of the many bible study helps available online today, most any translation can be used for in-depth study of God’s Word. However, the further removed you are from a formal equivalency translation, the more difficult it may be to reconcile what you learn with what you read. In that place, it is good if you are willing to do the work required to make sense of what you find without just taking everything at face value. I am not a linguist, but linguistic pursuits are necessary to be able to go deeper than what a commentary may provide for your study. But, I don’t want to burden you with a lot of technical/scholarly stuff. The more you study the Bible, the better off you will be. And, you will be light years ahead of most of the other people around you who have given up any serious study of the Word. You can click on the tab “How To Read The Bible” at the top of this blog to learn one way to discover what the Bible teaches. Also, Blue Letter Bible, my go-to online resource, has plenty of videos posted on Youtube to teach you how to use their program. I highly recommend the BLB for your bible-study-needs. This is the most un-fun part of this article for me to write, yet I think it is quite necessary for today. I want to warn you of some of the modern translations that I DO believe pose some serious problems to the body of Christ. There are three that have recently come out in the 21st century that are completely different in tone from all other translations—except for possibly The Living Bible of 1971 by Kenneth Taylor. These are, in the order of their appearance in the market, The Message, The Mirror, and The Passion. The Message is translated by Eugene Peterson. The Mirror is translated by Francois du Toit. The Passion is translated by Brian Simmons. For simple devotional reading without trying to understand what the Bible has to say about a particular subject, The Message is probably just what you need. You can use it for your morning devotions as you desire to hear what the Lord would have for you this day. The Message, however, will prove almost useless in trying to follow a topic or bible theme for study. That may change sometime in the future, but for now, forget it as a resource for serious study. The other two, The Mirror and The Passion, do not come with any recommendation whatsoever from this writer and bible student. Both translations were made by an individual with an interpretive lens admittedly in place when making their translation. The Mirror was written with a view toward universalism, while The Passion was written with a view toward God is good and God is love. There are many other factors underlying my distaste for these two translations, but it is not appropriate in this blog to write about them. If being able to read with understanding without having to use a dictionary, then go back to the table above, find a translation that fits with your personal reading level (do not be ashamed of it; it is what it is) and go buy that translation in a format that will help you. I will discuss formats and study helps in the next article.